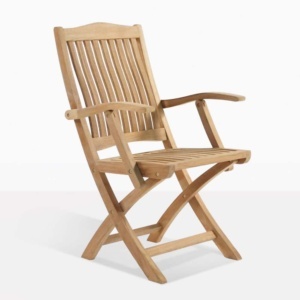 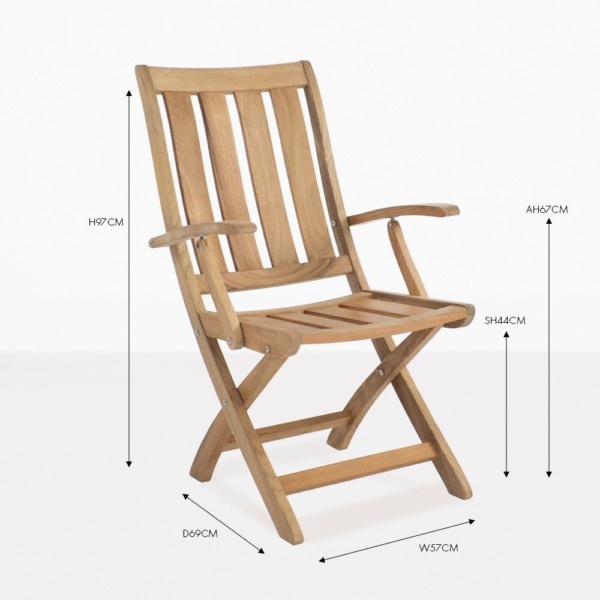 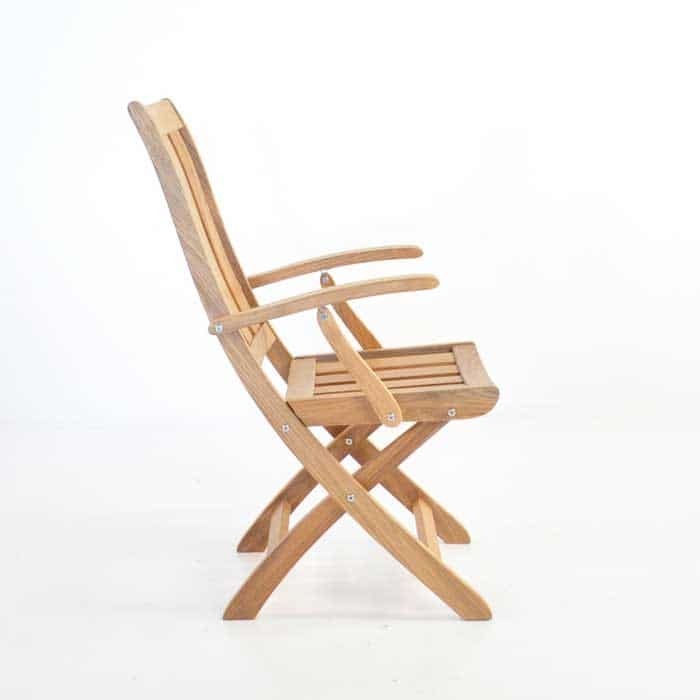 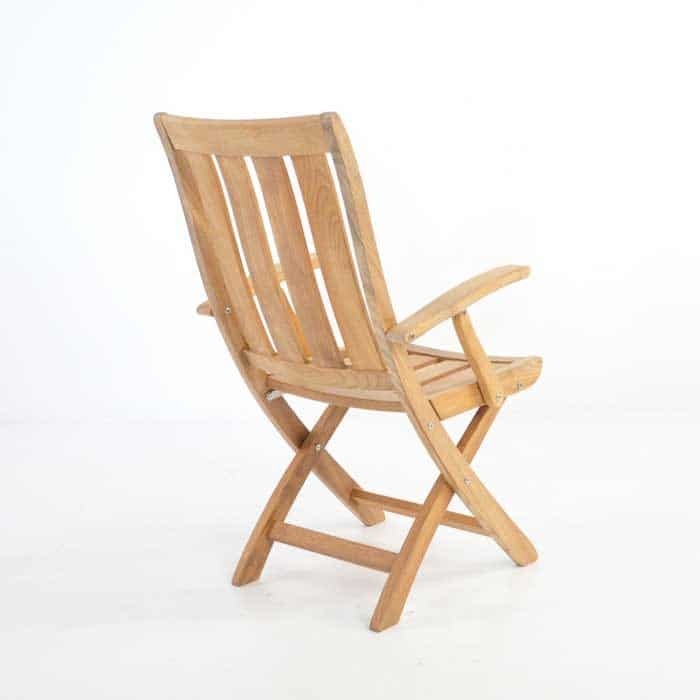 This folding teak armchair is extremely comfortable with its wide planks therefore seat cushions are not necessary. 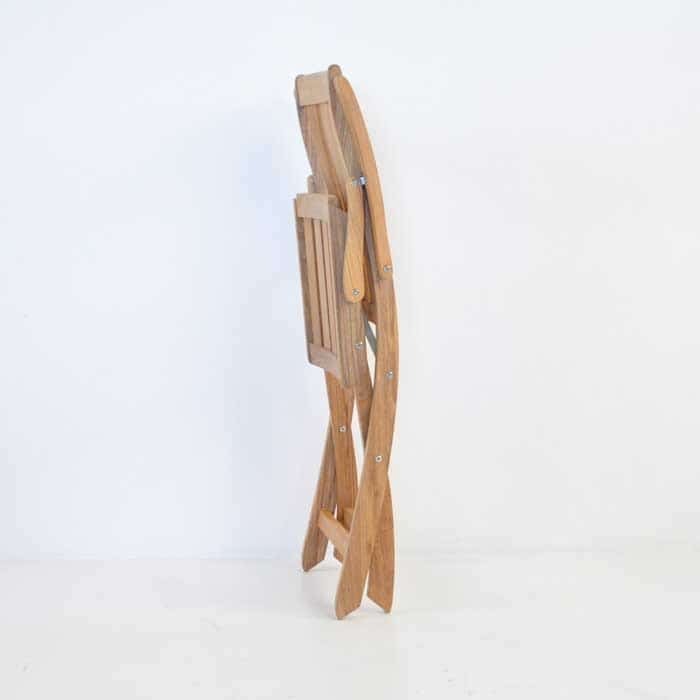 Easy to fold and store. 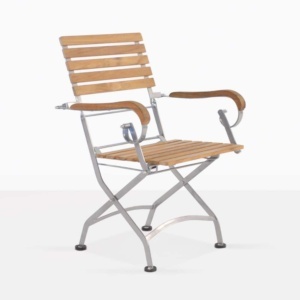 A-Great teak and #316 Marine Grade Stainless Steel fixtures and fittings make this chair perfect for boating, commercial installments and home use. 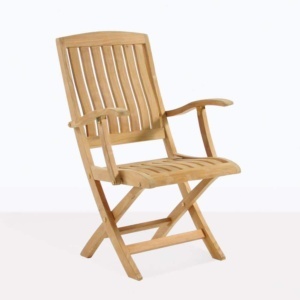 Also available as a side chair (without arms).